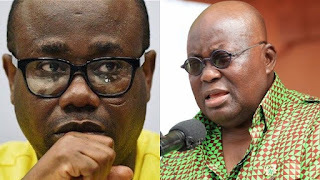 The president of Ghana, Nana Addo Dankwah Akufo Addo has ordered the arrest of the president of Ghana Football Association, Mr. Kwesi Nyantakyi for fraud. According to reports gathered, Kwasi Nyantakyi was using the name of the president and the vice president to extort money from football investors. Kwesi Nyantakyi was captured by investigative journalist Anas Aremeyaw Anas’s in his yet to be released latest corruption exposé. Currently, Kwesi Nyantakyi, as well as his PRO Sani Daara, are out of the country. But President Akufo Addo has ordered the CID to arrest Kwesi Nyantakyi and questioned in.